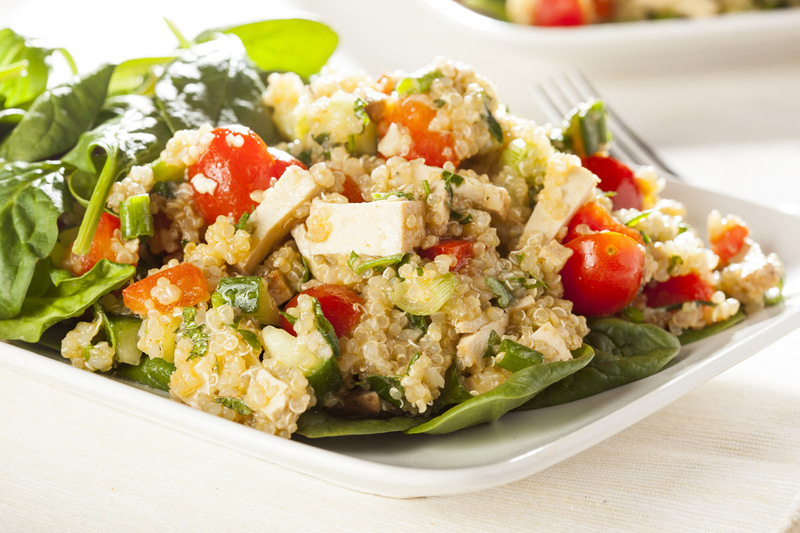 Quinoa and tofu are a great combination. Both are very nutritious and lend great texture variation to a dish. 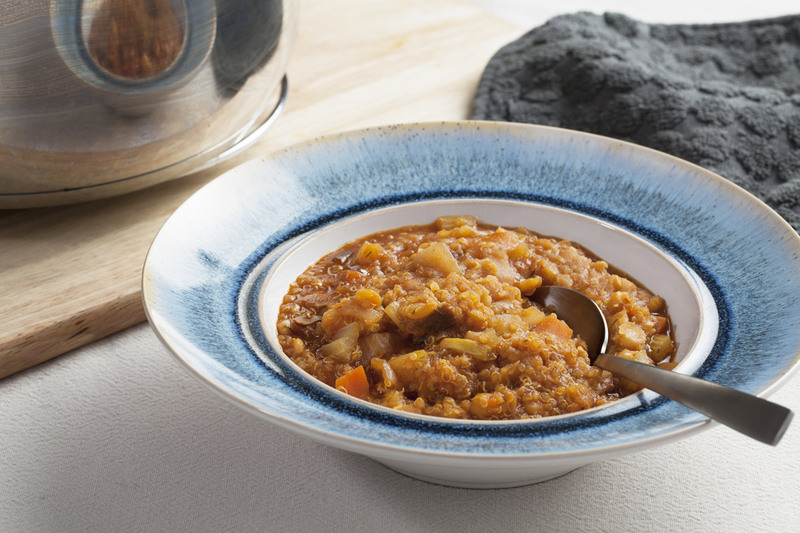 For this recipe, quinoa is the foundation. It is fluffy, nutty and when combined with tomatoes, cucumber, and parsley you get a dish with addictively fresh bites throughout. As for the tofu, it has a smoky flavor and by cubing it and baking in the oven, each bite-sized piece gets crisp on the exterior while maintaining tofu’s luscious creaminess on the inside. To make all this better, everything is put on top of a bed of fresh spinach. Yum! Spread the cubed tofu onto the baking sheet in an even layer. Place in the oven to bake until lightly crisp on the outside and creamy in the middle. This will take about 20 minutes. Bring the vegetable broth to a boil over medium-high heat. Add the garlic. Add the quinoa as well as some salt and black pepper. Reduce to a simmer, stir, and cover. Leave to cook for 15-20 minutes or until all the liquid is absorbed and the quinoa is tender. Remove from the heat and leave covered for a few extra minutes. Gently fluff the quinoa with a fork. Add the tofu, tomatoes, cucumber, and parsley. Drizzle lightly with oil and lemon juice. Toss everything together and season to taste with salt and black pepper. Create a bed of spinach on your selected serving platter. Transfer the quinoa mixture to the platter.